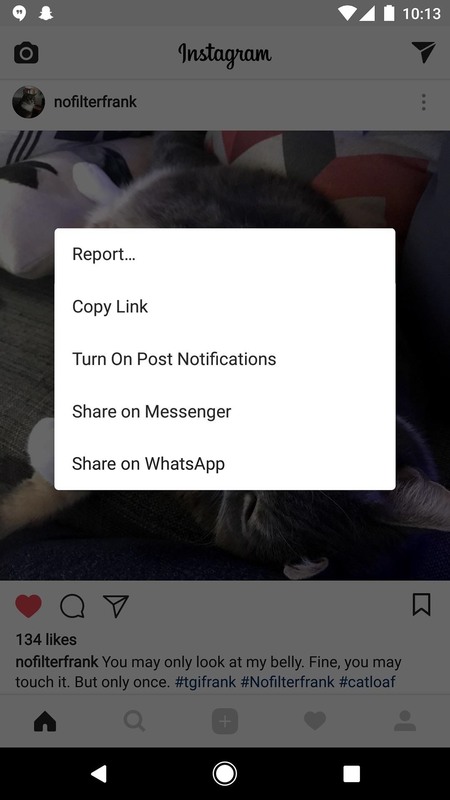 The "Share on WhatsApp" feature has been available on Android for a while now, but iPhones are now getting in on the action with a "Share to WhatsApp" option. However, if you have an iPhone, you may not see the option because it's currently in a closed, invite-only beta, as first discovered by The Next Web. Before going any further, you'll obviously need to have the WhatsApp installed and set up in order to share anything to it from Instagram. Also, keep in mind that you can only share public image posts to WhatsApp, which means no videos. Unlike with Facebook and Twitter, you don't need to "link" your WhatsApp account to Instagram in order to share images to it. It works just like Facebook Messenger does on Android. 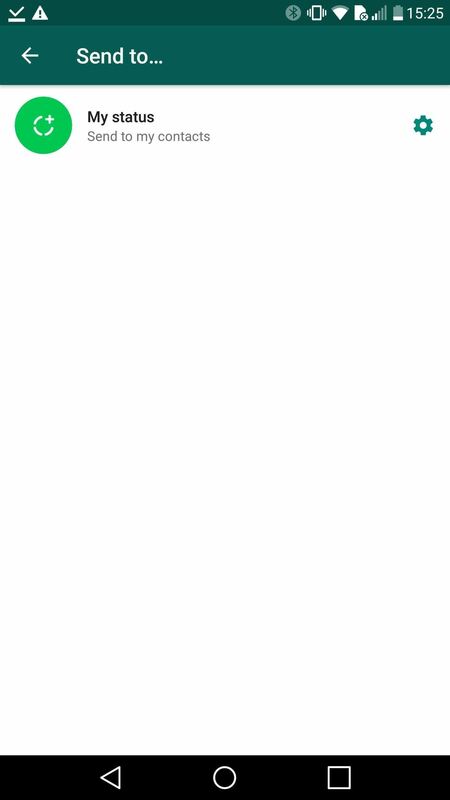 As long as you have WhatsApp installed, Instagram will detect it and show you the share option. When ready to test it out, find a public image post on Instagram somewhere, then tap the ellipsis (...) icon next to it to view your available options. 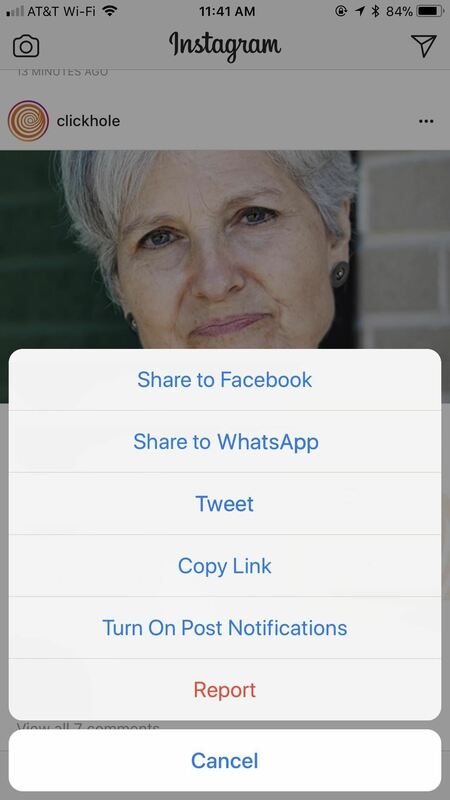 On Android, you'll see a "Share on WhatsApp" option, while on iOS, you'll see "Share to WhatsApp." If you don't see it, you either don't have access to the feature, don't have WhatsApp installed, the post is a video, or the post is not public. Tapping on the share option will launch you into WhatsApp, where you can either tap "My Status" to share as a WhatsApp status to all of your contacts or choose individual chats and contacts to share with. Hopefully, Instagram releases "Share to WhatsApp" as an official iOS feature in the near future. We'll update this guide as soon as it happens.